04.10.2015. Greetings to all friends of Georgian wine! 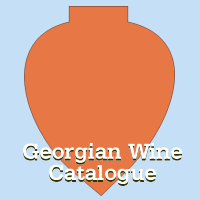 To mark the Georgian Wine Day, Hvino launched our Georgian wine mapping project on October 4th. 1. In top grey menu, click on rectangle "View larger map", or click here. "The problem with usual paper maps is that they do not provide exact satellite locations, and therefore are useless for navigating. I think the visitors will appreciate using our tool, as it might lead them directly to their target locations, especially in rural areas. We need the users' feedback, too, to place the objects precisely", - said Alexander Kaffka, head of Hvino.com.